29/08/15. Shaqlawa, Iraq. 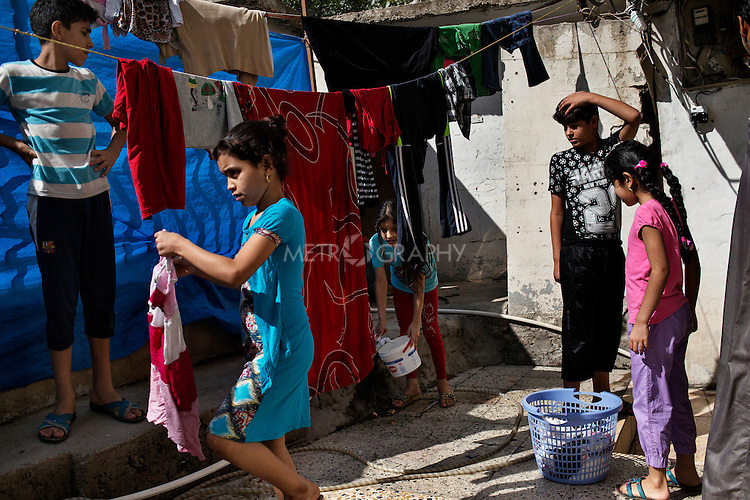 -- Displaced children from Falluja hang their washing on ropes outside the basement where they have been living for the past year and a half. 11 families live in the building, each of them using a 3 by 4 meters' room for which they pay 300.000 IQD (250usd).